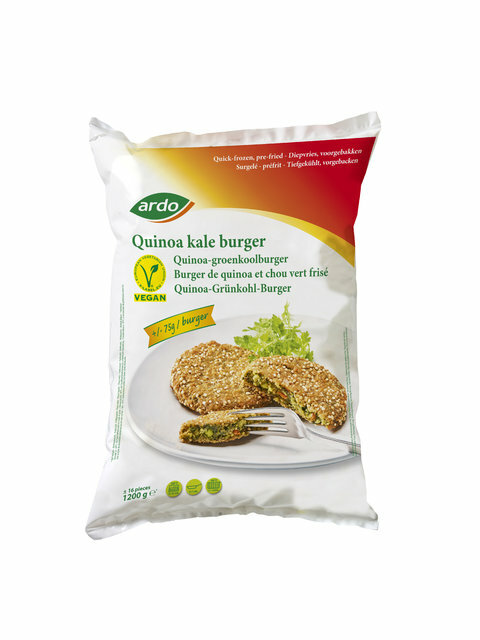 This vegetarian burger is made from delicious vegetables and makes a great starter, side dish or a surprising vegan burger meal. 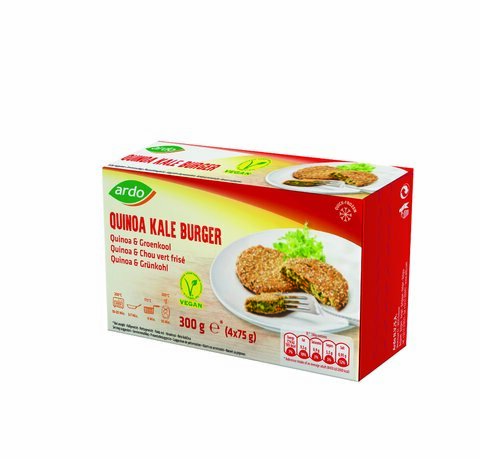 The quinoa crust makes the burger deliciously crunchy. Curly kale 18%, quinoa precooked 13% (water, quinoa), water, breading (spelt flour, quinoa puffed, Sunflower oil, Salt, Yeast), sunflower oil, potatoes, carrots, roasted onions (onions, rapeseed oil), soy beans, potato flakes, wheat flour, vegetable bouillon (salt iodised (salt, potassium iodate), maltodextrin, onion powder, garlic powder, spices, rapeseed oil), soy sauce (water, salt, soy beans, wheat), salt iodised (salt, potassium iodide), sugar, curry powder, garlic powder, ginger ground, pepper black. Place the product in a single layer on a baking sheet. Bake in a pre-heated oven 200°C for 12-15 min. until golden, turning once. Heat 1 - 2 tablespoons vegetable oil in a frying pan. Put the desired quantity of product in the frying pan and cook at medium heat stirring well.